Proof Bust dollars, which encompasses the Flowing Hair type of 1794 through 1795 and the Draped Bust motif that was in production from 1795 through 1804, are among the scarcest yet most sought-after of all early American coins. This is perhaps due to these being some of the finest-known examples of the nation?s ?unit? coin ? the dollar, which is the basis of the American monetary system. The earliest numismatic-quality issue among these early American dollars is the 1794 Silver Plug special strike that Professional Coin Grading Service (PCGS) graded as an SP66. Many numismatic scholars believe this coin, with exceptional strike detail and superb surfaces, may be the very first dollar coin ever struck in the United States. 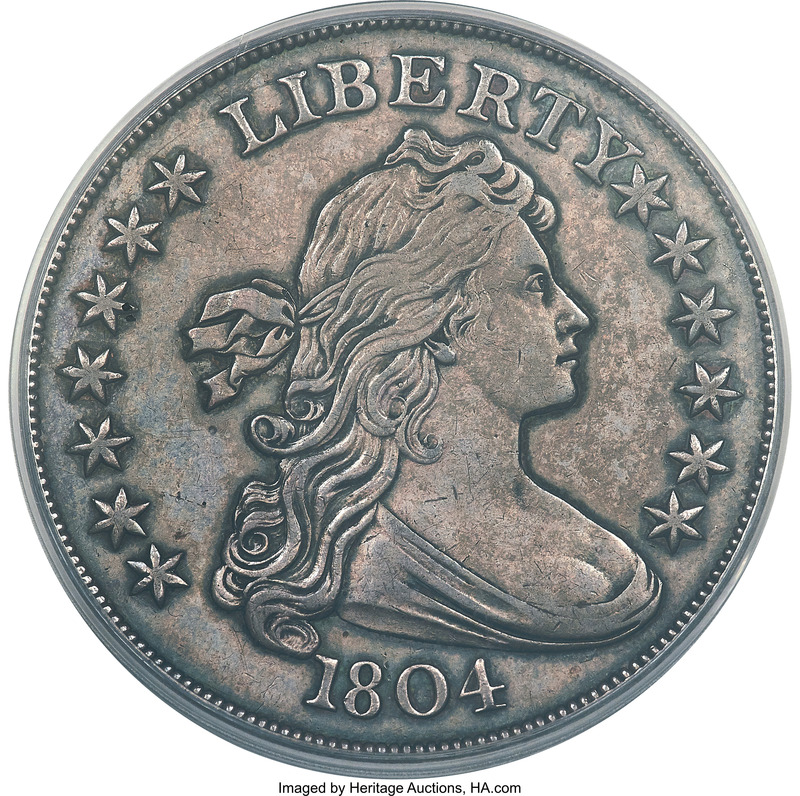 A 1795 Bust dollar special strike became the next-known numismatic issue among these early American dollars, though the first true proof Bust dollars are not officially recorded until 1801. Mintages for the 1801, 1802, and 1803 proof Bust dollars vary from about 5 to 10 pieces per issue, and prices hover around the middle six-figures to more than $1 million depending on the date and condition. The 1804 Draped Bust dollar is not only the long-heralded ?King of American Coins,? but it?s also arguably the most famous early American proof coin. The 15 known proof dollars bearing the 1804 date are categorized into three classes. The Class I specimens, struck around 1834 or 1835 for inclusion in special proof sets presented to foreign heads of state, are generally the most valuable. The finest-known Class I specimen, graded PR68 by PCGS, sold for $4,140,000 in 1999. A single Class II specimen is known and resides in the Smithsonian Collection. The Class III specimens struck sometime around the late 1850s has six survivors and, like their Class I counterparts, are seven-figure coins.